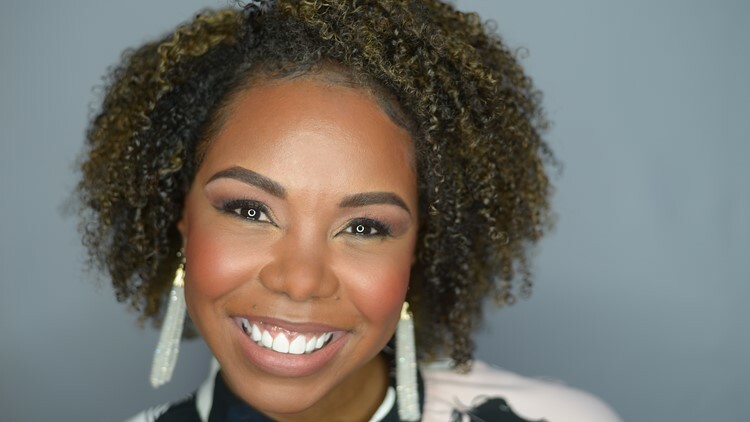 Daytime TV host Erica Cobb is taking on television industry standards by proudly revealing her new natural hairstyle. Co-host of Daily Blast Live, Cobb debuted her new hairstyle during the show on Tuesday. “In an age where everyone is touting representation matters, I want to be a part of the change that I want to see in media today,” Cobb said. Encouraged by former First Lady Michelle Obama, Cobb decided to buck the television industry trend of hiding her natural black hair. Cobb wants all women to do what makes them happy and feel confident. “If wearing your hair natural makes you happy and confident, girl, you go and DO JUST THAT!” said Cobb. After revealing her new hairstyle, Cobb pointed out that multiple African American news personalities have been disciplined or fired for wearing natural hairstyles. “We’re told you need to straighten your hair. You need your hair to look a certain way to be presentable,” Cobb said. Cobb hopes her natural hair reveal will embolden other African American women in television to fight against the belief that natural black hair is not professional. “I feel presentable and respectable no matter what my hair looks like,” said Cobb. Daily Blast Live co-host Erica Cobb rocking her natural hairstyle.